The Fantasia USB powered 2 speed desktop fan in lime green and white finish features 70’s style, an ultra-low energy 3w motor and tilt adjustable head. An ideal gift for a friend or relative and a welcome addition to any home. A quality desk fan, with encased fan front and back to prevent objects or fingers from entering whilst switched on. The two-speed 3w motor powers the fan to give a cooling breeze wherever you are. It is not limited to a desk as it is extremely portable so it can be used anywhere in the home where there is a USB outlet. The tilt adjustable head gives you ultimate control to direct the cooling breeze just where you want it. 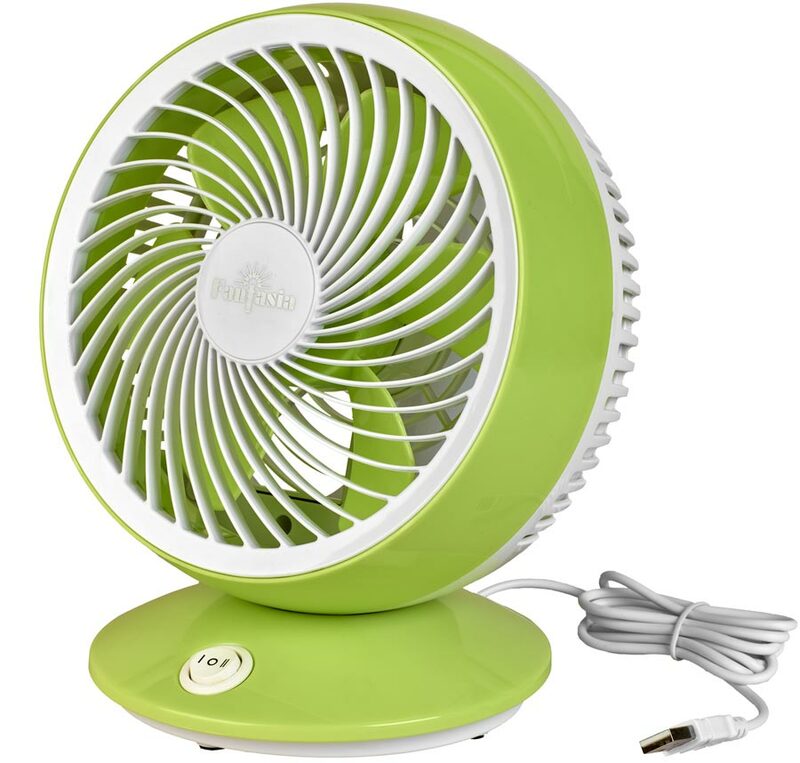 This funky lime green and white 70’s style USB desk fan is the perfect way to keep cool at work. Powerful but quiet enough to use without disturbance, their targeted breeze provides refreshment without blowing your paperwork everywhere.